Great quilt pattern book called Golden's Journal created by Christina DeArmond, Eula Lang and Kaye Spitzli. There are 120 full-color pages. 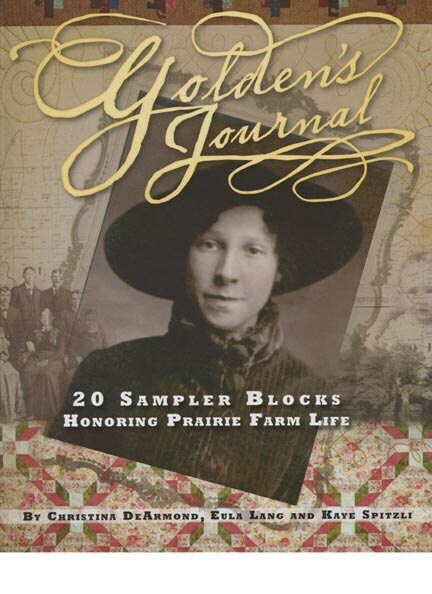 Join Golden's life on a prairie farm in the early 1900s. A sampler quilt of 20 blocks, illustrated by diary entries and photos of the lively grandmother of co-author Kaye Spitzli, are the backbone of this book. 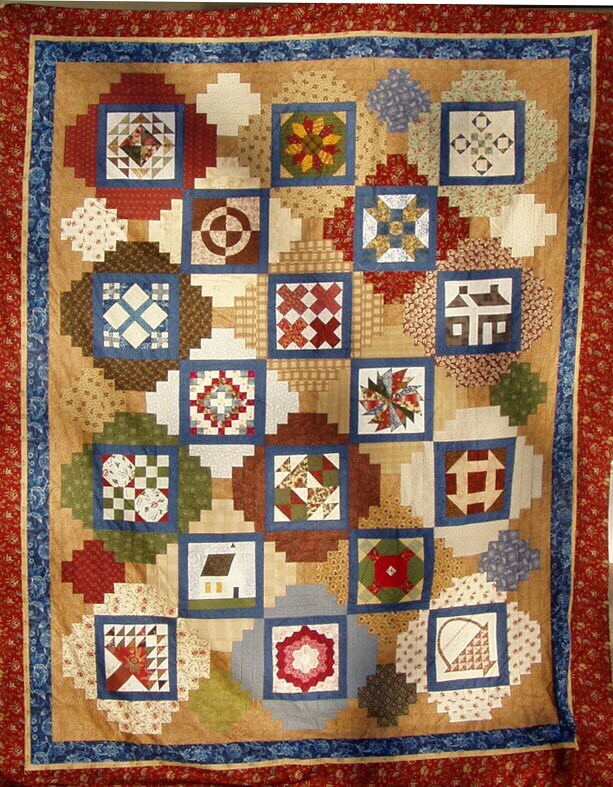 The sampler was designed by the three talented quiltmakers who make up Of One Mind, a Eudora, Kansas, quilt company. 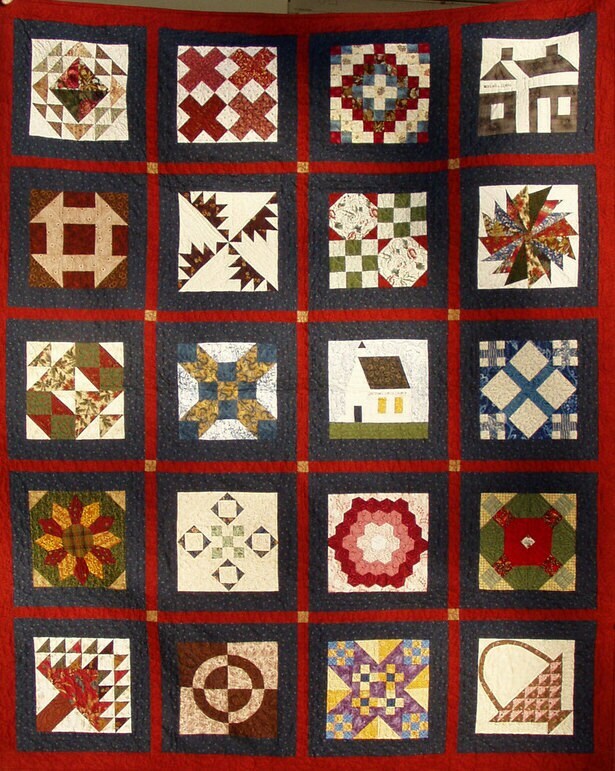 Three distinct quilt settings - from simple to challenging - are offered for joining the sampler blocks, along with many other projects, all created from the block patterns. You'll find clear, concise instructions for putting together a variety of small quilts and other fun projects.